Last summer, my colleague Evan Hall and I travelled to the Polar Continental Shelf Program (PCSP) base in Resolute Bay, Nunavut. 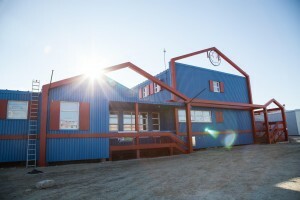 Located in one of the northernmost villages in Canada, PCSP is the main research logistics centre in the Canadian high Arctic. The PCSP coordinates flights, ships supplies and hosts researchers who work throughout Canada’s northern archipelago. Despite being trained as a scientist, I wasn’t up there to conduct science. I was there to talk science. To talk with researchers, students, advisors, technicians, cooks, and staff. To do interviews, take photographs, and explore all the interesting things that take place at PCSP. 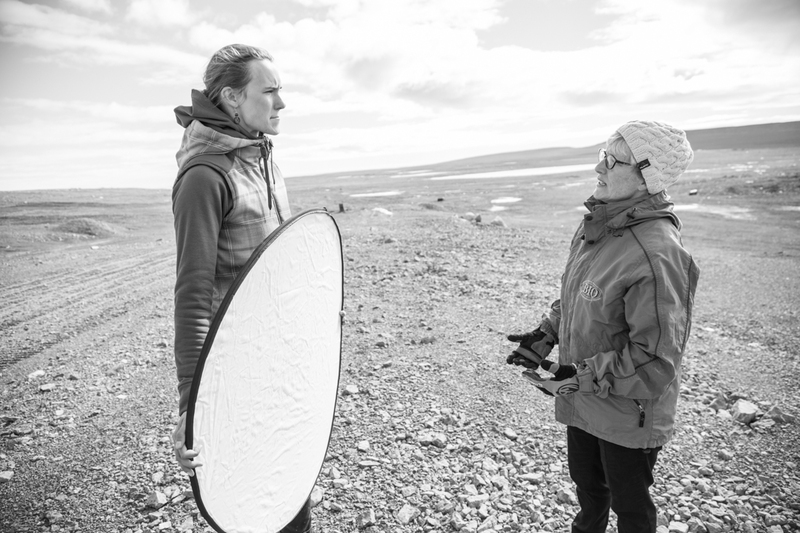 Marie-Claude Williamson (right), a geologist with the Geological Survey of Canada, prepares to have her photograph taken behind the PCSP base while Katriina holds a reflector to balance out the strong Arctic summer sun (Photo credit: Evan Hall / CPC; used with permission). 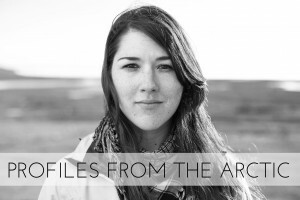 My goal was to collect the stories told by researchers and staff for a web-documentary series called Profiles from the Arctic. 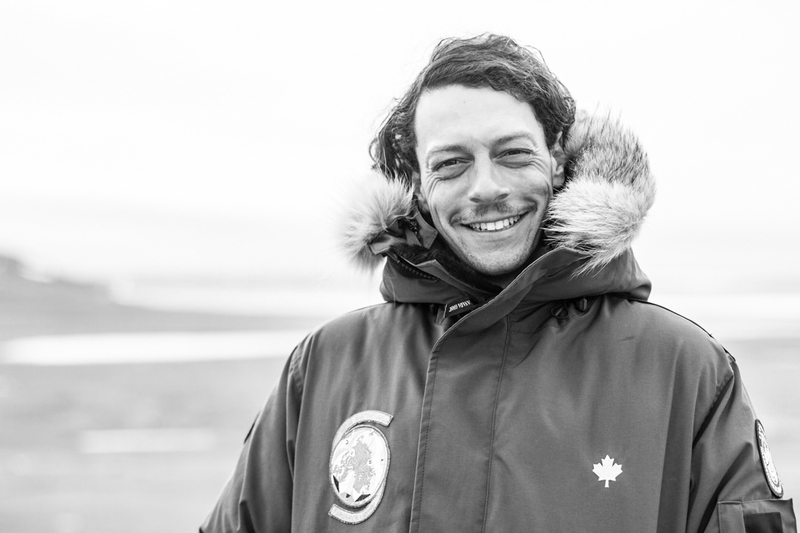 The series hopes to provide a view into what it is like to be a scientist in the Arctic. Our interviews focused around three topics: research, field stories and the Arctic. We interviewed geologists and ecologists; we met a team who studies a 23 km-wide meteor crater; we learned about the transport of contaminants and the migration patterns of birds; we heard stories about sharks, plants, soils, ice, glaciers, fish, narwhals, lakes, and more; and we spoke to a scientist who studies bacteria living inside rocks. 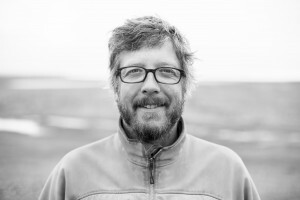 Christopher Omelon, Research Associate from The University of Texas at Austin, studies bacteria living in rocks and under glaciers (Photo credit: Katriina O’Kane / CPC). Natural scientists, those who use the natural world as their laboratory, spend their field seasons in places that most people would never have reason to visit. Spread thinly across the Arctic islands, research teams often create their own micro-communities in which they themselves are the sole inhabitants. Of little surprise, this results in some interesting stories. Günter Köck, research scientist at the University of Innsbruck, Austria, studies contaminants in fish (Photo credit: Evan Hall / CPC; used with permission). Catherine Girard, a PhD student from the Université de Montréal who we interviewed for the web-documentary Profiles from the Arctic (Photo credit: Katriina O’Kane / CPC). The vastness. The simplified ecosystems. The beauty of the place. Climate change. Development. Lack of funding for research. Social issues. About its people. Its connectedness. That it exists. Then there was something else we didn’t know to ask, but we continued hearing: There is urgency in doing research in the Arctic. As the Arctic warms, developers are eyeing its resources. It became clear through our interviews that most scientists felt they did not have a complete enough understanding of Arctic ecosystems to advise policy makers and industry. This understanding is necessary, they told us, if the Arctic is to be developed in a responsible and sustainable way. Mark Maftei, Master’s student at Acadia University, studies Arctic seabirds (Photo credit: Katriina O’Kane / CPC). Profiles from the Arctic will be launched on March 31st and new profiles will be released regularly over the course of the next several months. My hope is to make Arctic research a bit less remote, a bit less complicated, and a bit more human. APECS, Communication, Education, and Outreach, General Science, Guest Authors, Multimedia, Science in Society APECS, Arctic, documentary, multimedia, photography, polar week, scientists, video. permalink. What’s the buzz (or not) around Canadian science policy? Learned about this project yesterday. 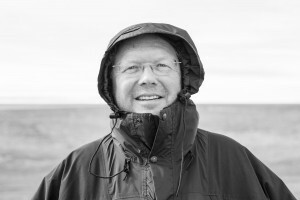 Interesting to learn the Arctic perspective from people we know ! I will check it out upon launch for sure.